Would you like to revise a chapter, catch up on a missed class or simply improve your German skills? Our German-speaking tutors will gladly facilitate in whichever way you require, be it in choosing the right learning materials or in assisting you with your homework. Our students have free access to our assisted self-study area, which is open Mondays to Thursdays from 1.00-7.00pm. 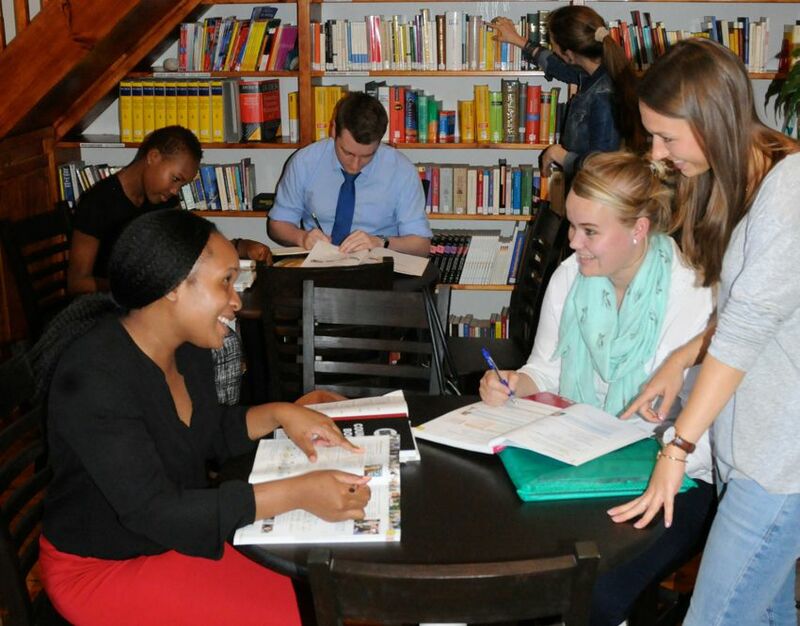 In order to immerse fully into the German language and culture our students also have access to a wide range of books and magazines in our library. Our cosy lounge with German TV and a wide range of German magazines is a popular place for all students. Here you can relax with a cup of coffee before your classes start or compare notes on the latest learning apps. Should you require more information, please contact the language course office.